Federal prosecutors are hoping on Monday to land the toughest sentence in the history of federal corruption cases when former ICE official Constantine Peter Kallas appears in U.S. District Court in Los Angeles. 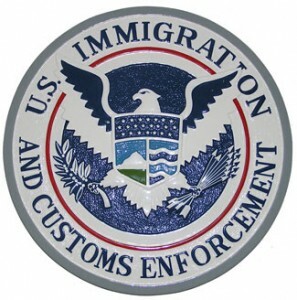 The former Assistant Chief Counsel at U.S. Immigration and Customs Enforcement was found guilty of three dozen corruption offenses nearly one year ago for taking a series of bribes from immigrants seeking documentation to remain in the U.S.. Authorities said Kallen has been in federal prison since August 2008, about two months after he was busted in an FBI sting and videotaped at the San Manuel Indian Bingo and Casino in Highland, Calif. “where he and his wife accepted a bribe from an immigrant”, the U.S. Attorney’s Office said. He accepted a series of bribes, some as high as $20,000, authorities said. Authorities said court documents show that besides Kallas’ salary, the couple had deposited $950,000 in their bank accounts since 2000. Posted: 3/18/11 at 3:43 PM under FBI, News Story.